the first time in the Board’s history that apartments have outsold residential detached homes during a month. “This remains a challenging environment for buyers and sellers alike,” said John Barbisan, President of the Board. 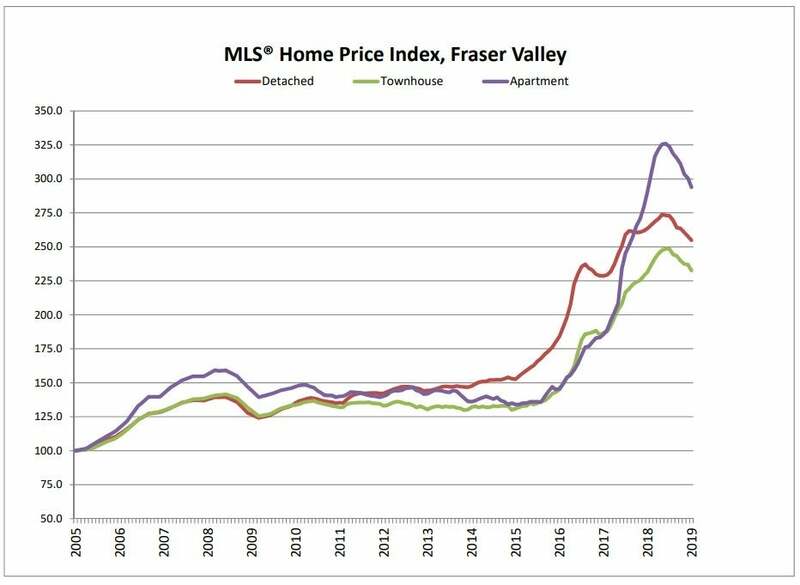 For the Fraser Valley region, the average number of days to sell an apartment in January was 45, and 44 for townhomes. Single family detached homes remained on the market for an average of 55 days before selling. decreased 1.8 per cent compared to December 2018 and increased 0.5 per cent compared to January 2018.
cent compared to December 2018 and increased 1.2 per cent compared to January 2018.